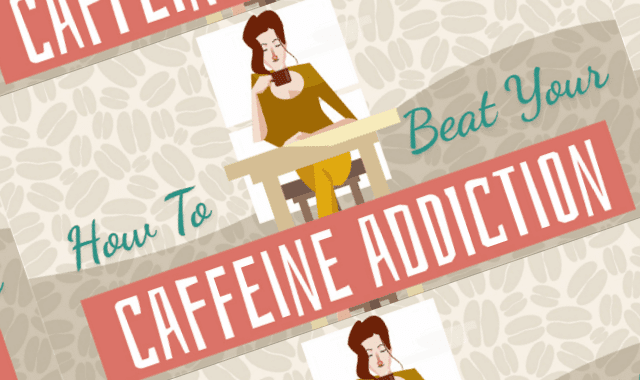 How To Beat Your Caffeine Addiction #Infographic ~ Visualistan '+g+"
While some people might turn their noses up at the notion of a ‘caffeine addiction’, it’s important to remember that caffeine is a stimulant and is therefore slightly addictive. Not only this, but the more caffeine you drink, you’ll start to build up a tolerance to it, meaning that you’ll need to drink more to get the desired effects! And while most caffeine addictions aren’t too extreme, trying to wean yourself off your favourite triple shot venti beverage could have numerous side effects such as tiredness, irritability and headaches, so here are eight steps to help kick the habit!